Day 4 of October sneak peeks! Last day of sneak peeks...let's take a look! 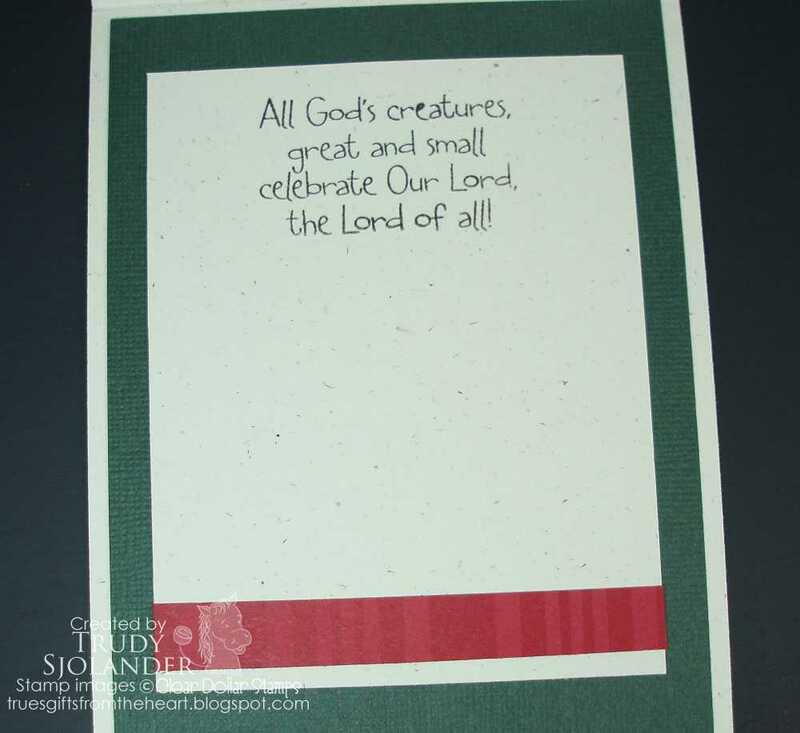 Available in White Cardstock (Neenah, perfect for copics and stamping) or Water color cardstock....you pick! 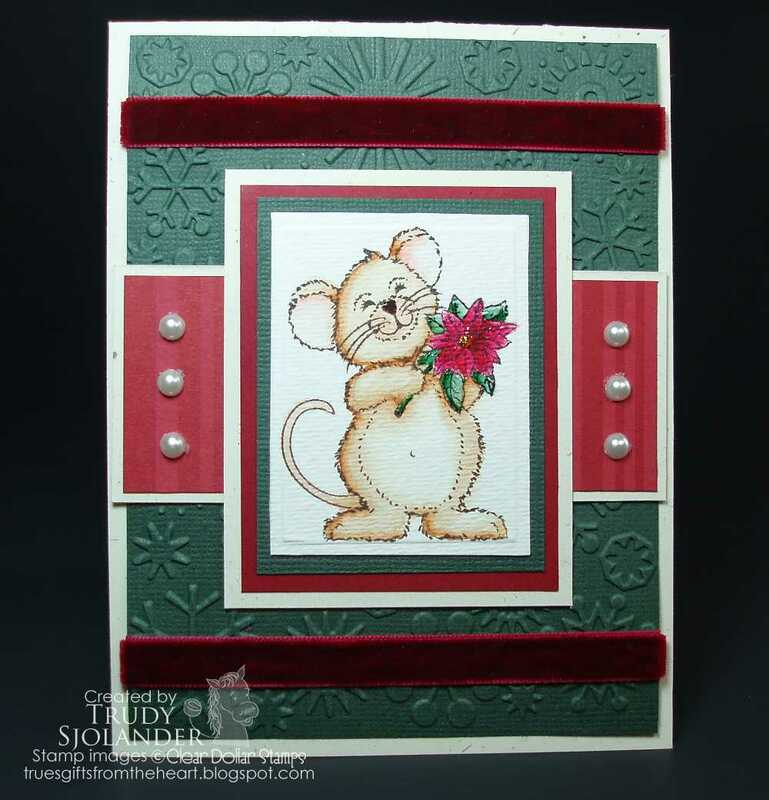 I decided to go with a "lavishly layered" card kit for this month! 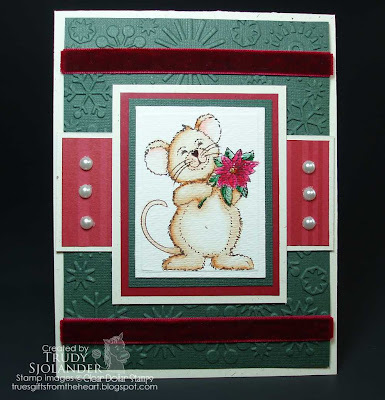 Wintertime Kisses is our paper kit for the month! This kit is so yummy with all the different embellishments! Scroll down for a list of what all you get with your kit! I thought this would be a nice little set to use with some of our card kits....I hope you enjoy! Tomorrow is the day for the shopping therapy! I hope to see you then! Day 3 of October sneak peeks! This is the new product line that I am so excited to show all of you! Clear Dollar Stamps now has stamps with die sets to match! I have just had so much fun playing with these dies and stamps....I can't quit making stuff! This first die set is a must have for any collection! You can use all three pieces together or seperately. You can use a 1 1/2 inch circle punch to layer with this set. You can use a 1 1/4 inch square punhch to layer with this set. You can arrange this set at least 15 different ways! This die set also comes with alignment guides so you can stamp your image, mark alignment dots, and then cut your image out perfectly every time! Katie will be doing a tutorial next Tuesday to show you exactly how this works! This set will normally retail for $19.99, but we are introducing this die set at a special discounted price! I've created three stamp sets for October that go with this set! These additions will help you embellish your tags quick and easy! When I saw how perfectly the Year Round Bitties set worked with these dies, I had to have some sentiments to go with them! Take a look, they turned out soooooo cute! For more examples of Year Round Bitties go to Clearly Delightful. Tomorrow is our last day of sneak peeks before the shopping therapy begins! See you then, my friends! Day 2 of October sneak peeks! Let's get started with day two of sneak peeks! Everyone needs some snowflakes for their collection! These snowflakes stamp up so pretty and quick! Perfect for making snowflake backgrounds for your scrap pages! Trudy drew such a cute little snowman, didn't she? He stands about 3 1/2 inches tall and is perfect for cards and scrapbook pages. He is sure to put a smile on anyone's face! I collect snowmen, so for me he is a must have! I'll have to come up with snowmen gifts with him! Paper pieced or colored this set is perfect for cards and scrapbook pages! I love all the gingerbread men, nutcrackers and presents.....just adorable! Day 1 of October sneak peeks! Time for the October Sneak peeks to begin! We have some wonderful new stamps and the beginning of a new product line coming this month....I can't wait to show it all to you! Now this set you have seen before as a digi image, but there are some of us that are dedicated to stamps...so here you go! This image is perfect for fall table settings, cards, and fall parties! Isn't this the cutest little crow? I just love him....and the saying "from one old crow to another" is so cute! I can't wait to use that one on some of my friends...he he he! These verses are 20% off every day....make sure to collect them all! Now this goose is not just a Christmas goose! He can be used year round for birthdays, belated birthdays, and Christmas cards, gifts, and tags! Go to Silly Goose - October 2010 SOM Free with a $50 order! See you tomorrow for more wonderful sneak peeks....don't forget to check back! I love Wish List Friday! Our customer collection stamps this month are absolutely wonderful! They are available to purchase today! Here is an adorable birthday calendar that Cassie made with this set! This set is really a must have for a beginner stamper or scrapbooker! Perfect for a gift for you kid's teachers! They are sure to love it! This stamp was requested by Jennie via an email....I'm so glad she asked....this stamp is a basic for any stamp collection! This stamp was a customer request by Teresa from Edison, Georgia. I love this stamp! It is perfect to create a little birthday party for Jesus with your kids, friends, and family! Remember you too could see one of your requests here....all you have to do is email me at Lori@cleardollarstamps.com, and we will consider your suggestion! Have a wonderful day, and I hope your day is filled with blessings and stamping galore! It is digi day again at Clear Dollar Stamps! We have some beautiful digis and samples for you to look at this month. We are so excited to start offering some colored digis for super quick and easy card assembly! Trudy drew up this beautiful little pumpkin and we just had to have it as a digi....and a little hint....this one you will be seeing as a stamp very soon too! Isn't this little kitty adorable poking its head out from behind the pumpkin? Do you think the little crow and kitty are playing hide and seek? I don't know, but is sure makes up an adorable card! Here is one of our first images that we offer colored or uncolored! I was so excited to get it, I made up my first Christmas card with this set the very day I got it....and it only took 15 minutes! This is just the sweetest little scene. Just adorable! Whether you take the time to color it yourself or print off a colored version you are sure to impress your friends and family! The colored version: PERFECT to use for church card ministries, cards for troops, ladies get togethers, and much more....the possibilities are limitless! This sweet little tree just makes the cutest card....so quick and easy to color too! Take a look at the gift set Laurie put together! If this doesn't convince you that you must have this set nothing will! Make sure to go over to Laurie's blog to find out how she created the background paper! 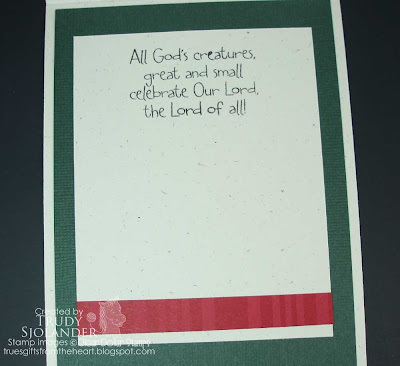 We thought we needed to have the story of the candy cane as an option for your card making this year. It is a wonderful way to express what the Christmas season is really all about! Scroll down to see the pre-colored version! This colored set makes up in a jiffy without coloring! Use it for packaging and labeling your gifts! As always, we have a beautiful freebie for you to enjoy! We hope you love working with these images as much as we have! We would love to see your creations!